​﻿TAKE CONTROL OF YOUR FINANCIAL FUTURE! STOP CREDITOR CALLS AND COLLECTION AGENCY HARASSMENT. STOP WAGE GARNISHMENTS, LAWSUITS, AND FORECLOSURES. Please fill out our form below for your Free Consultation. One of our expert Bankruptcy Attorneys will contact you as soon as possible. DECATUR October 25, 2018 -- Brookhuis Law, LLC has been selected for the 2018 Best of Decatur Award in the Bankruptcy Attorney category by the Decatur Award Program. Each year, the Decatur Award Program identifies companies that we believe have achieved exceptional marketing success in their local community and business category. These are local companies that enhance the positive image of small business through service to their customers and our community. These exceptional companies help make the Decatur area a great place to live, work and play. Various sources of information were gathered and analyzed to choose the winners in each category. The 2018 Decatur Award Program focuses on quality, not quantity. Winners are determined based on the information gathered both internally by the Decatur Award Program and data provided by third parties. The Decatur Award Program is an annual awards program honoring the achievements and accomplishments of local businesses throughout the Decatur area. Recognition is given to those companies that have shown the ability to use their best practices and implemented programs to generate competitive advantages and long-term value. The Decatur Award Program was established to recognize the best of local businesses in our community. Our organization works exclusively with local business owners, trade groups, professional associations and other business advertising and marketing groups. Our mission is to recognize the small business community's contributions to the U.S. economy. Stop going to the Bankruptcy mills, and get the hands on client care that you deserve! Brookhuis Law can help you through one of the hardest moments you'll face in life with a hands on approach that will help you feel comfortable in your decision to take back your financial future. At Brookhuis Law, we understand that few people can afford to hire a bankruptcy attorney when they are dealing with substantial debt, which is why we provide our clients with a free case evaluation as well as reasonable fees. ​Our passion and desire for legal excellence enables us to provide personal, effective, and timely help for all clients so that you can protect your rights against creditors and move forward with your life. Filing bankruptcy is a tough decision to make and we are here to help you make the right choice. Additional practice areas include criminal defense, personal injury, divorce and more. 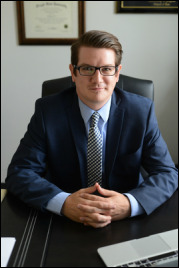 ​ATTORNEY JOHN BROOKHUIS HAS OVER 8 YEARS OF EXPERIENCE IN CONSUMER BANKRUPTCY AND HAS SUCCESSFULLY HELPED THOUSANDS OF CLIENTS ACHIEVE DEBT RELIEF AND A FRESH START THROUGH CHAPTER 7 AND CHAPTER 13 BANKRUPTCY. WITH A LOCATION CONVENIENT TO INTERSTATES AND MARTA, JOHN BROOKHUIS CONVENIENTLY SERVES RESIDENTS OF FULTON AND DEKALB COUNTY, AS WELL AS RESIDENTS OF CHEROKEE, CLAYTON, COBB, DOUGLAS, GWINNETT, HENRY, NEWTON, AND ROCKDALE COUNTIES.